I wrote last week about my first year as being a mum of two, and how different it was transitioning from one to two children. 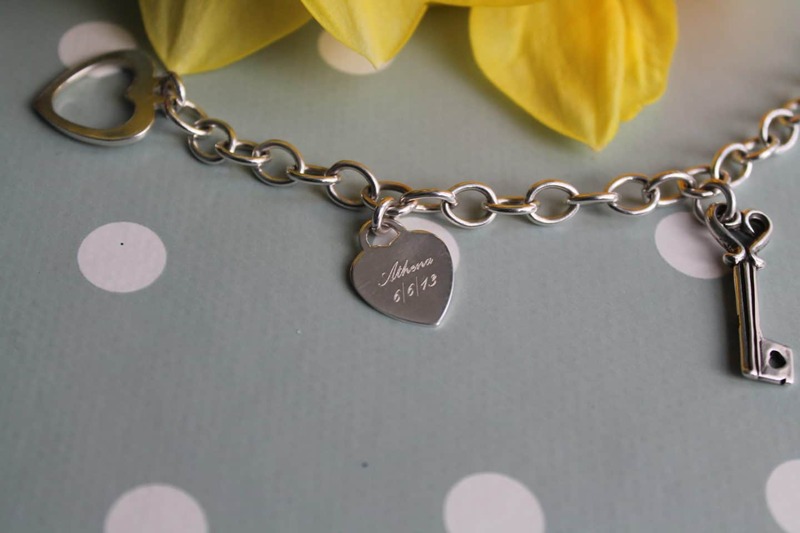 As a way of celebrating my first year as a mum to two Charmworks very kindly sent me a personalised charm bracelet. A charm bracelet is something that is incredibly individual to a person, something completely unique and special to them and I am over the moon to have my own now, and I’m already looking forward to adding charms to it in the future! I think adding charms to a bracelet to celebrate and signify big life events is a wonderful way to keep a little record of your life close by, a way to trigger memories and thoughts as you catch sight of each charm, or hear them clink together as your arm brushes something. My bracelet arrived in a beautiful gift box, wrapped perfectly with a ribbon and tiny sequins. The three charms that adorn my bracelet are an engraved heart; Athena’s name and date of birth on one side and Arlo’s on the other. Next up is a key, which is to represent the purchase of our first home last month. 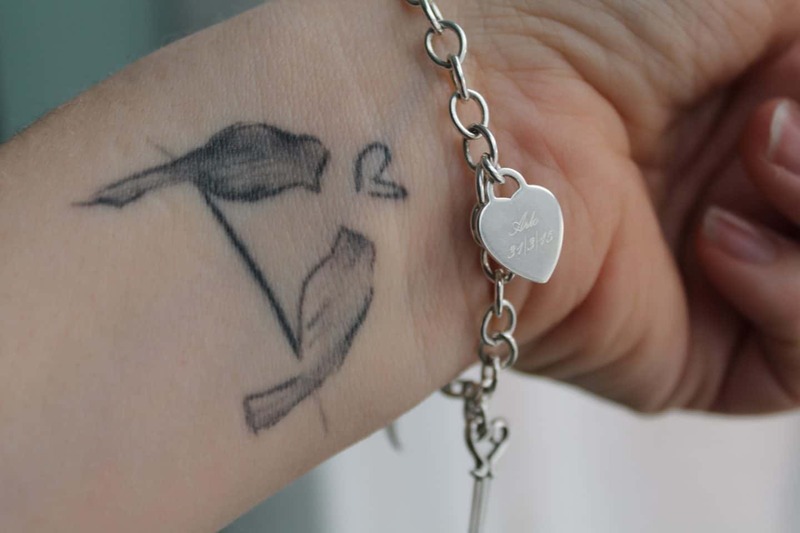 Lastly, a feather and for me feathers which for me signifies unrestricted flight, a reminder to me that my dreams and plans should become a reality, plus feathers are lovely to look at. My charms are all attached permanently to a sturdy but not heavy sterling silver chain bracelet, with a heart toggle to fasten it, meaning I can do it with one hand and no fiddly clasps. It’s perfectly secure too! It will be easy to add more charms to the bracelet, either directly using a jump ring or by using charms that come with clips. 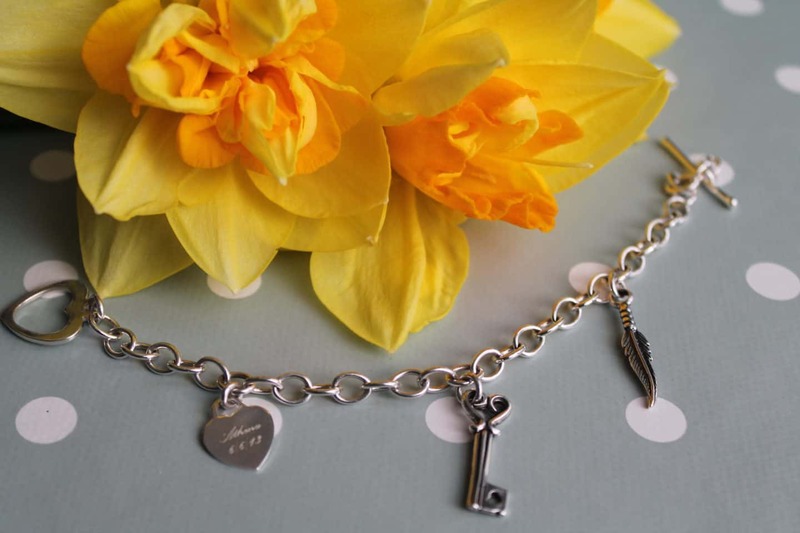 Having a charm bracelet means that whenever you’ve got a birthday coming up and don’t know what to say when people ask you for present ideas you can point them in the direction of the absolutely huge array of charms that Charmworks has to offer, there really is something to suit every possible occasion you wanted to celebrate or commemorate. I’ve picked out a few of my favourites below, but do take a look for yourself! Charmworks offers free delivery on orders over £20 and also stocks earrings, necklaces and rings too, they’re on Twitter and facebook too. I was sent a charm bracelet to feature in this post, and I’ve not taken it off since it arrived I love it that much! They are so pretty, I’ve just made Emmy one which I’ll add to yearly and give you her on her 18th.